Could you please tell us how to enable Wayland? You have to follow Martin's post. Packages doesn't need any rebuild/change. Finally I got success!. I just followed martin's blog post. I am replying from KDE session with wayland backend. Window maximize/resize animation is really smooth. 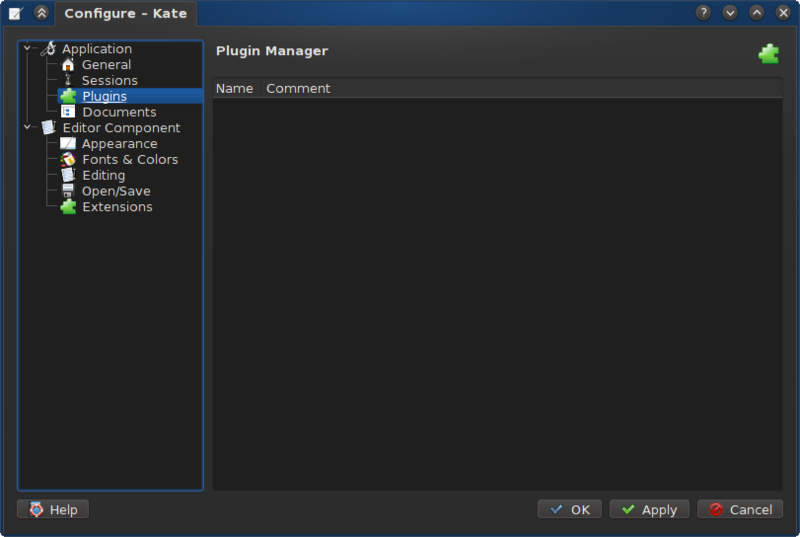 After this upgrade, Kate no longer finds any of its plugins on my installation. Any idea what is going on, or how to debug this? Kinda works, but plasma crashes when starting. And I haven't found any documentation on how to change the mouse speed in kwin. And there's only llvmpipe available in wayland+kwin, not opengl. Yes there are some problems. Mouse speed problem, unable to take screenshots and some of apps (gtk?) are too slow. But opengl should be available I think. It will work better If you have Intel graphic card. Thanks, fixed with kdesdk-katepart 4.10.80-3. But opengl should be available I think. It will work better If you have Intel graphic card. I have intel graphics. glxinfo shows llvmpipe and opengl 3d programs are really slow (because they use llvmpipe...). I haven't really looked why. sorry if i ask, but why is it necessary to install packages from testing? i'd like to test kde sc on a stable system, not kernel, xorg, grub, etc.. It's fixed in amarok 2.7.1-2.
even if after some days ... but thank's for this update package... all works fine now and music with amarok it's a good time .. I can obviously not recommend it, but currently there are only a few packages in testing and community testing and they don't seem like kde would depend on libraries in any of them so right now it should kinda work installing it without testing. If only one of the shared libraries in there gets an incompatible update in testing and kde-unstable is rebuilt against it, it will most likely break if you don't have that too. edit: Only do such things if you know how to fix things that break. I see still no way to get the notification window back when previously you had more monitors connected and they are now outside the current monitor area. Am I missing something? yeah, things are calm now, but, for ex., kernel 3.10 will hit testing in one week. that is to say, we have kde releases every 6 months and a testing window of minimum 2 months, there will be less painless cases ahead when you'll have to install kernel, xorg stack etc. what more will be more difficult, is to test a DE in a OS in major instability. so, the whole point of my posting is: wouldn't it be nice to have testing packages upon which kde depends in kde-unstable repo, so to keep testing disabled? anyway those packages will hit testing repo when kde stable will. By the way, am I the only one that can't associate "file types" with applications anymore in dolphin? edit: and type 2 "Link" desktop files don't work in dolphin either. Does this work with 4.10 dolphin? in dolphin "dolphin does not support web pages, the web browser has been launched." May be you have to set default browser in kde system settings > Default Applications > web browser. Since the upgrade to beta 2 the oxygen widget style seems missing. Looks pretty ugly without it. Anyone else having this issue? Does anyone else have problems with the KWin/GRUB2 reboot controls? Mine seem to be broken. did you modify the startkde script as mentioned in the post? is "Confirm logout" option working properly to you, brave testers? here it isn't. here is my startkde http://pastebin.com/UR9sfj7J change line 26 for qbindir, add at the top the "wayland exports"
and thats my kwayland, your startkde-wayland and kwayland are the same?? Just copy your modified /usr/bin/startkde to /usr/bin/startkde-wayland.